You don’t want to be poisoned, do you? I started noticing a faint fluttering noise coming from my Mazda Miata’s engine bay whenever the engine was under load, but only at very low revs. At engine speeds above 4,000rpm the annoying sound disappeared. It was a very soft clicking noise, and it was driving me mad! What was it? 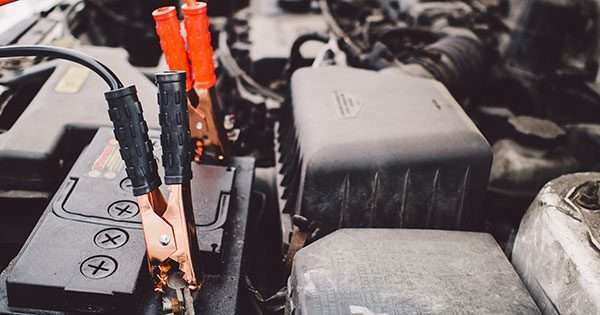 Noisy injectors? Shoddy valve clearance? As it turns out, I had very small holes on the welds of my stainless steel exhaust headers. Here’s how to isolate and solve the problem. 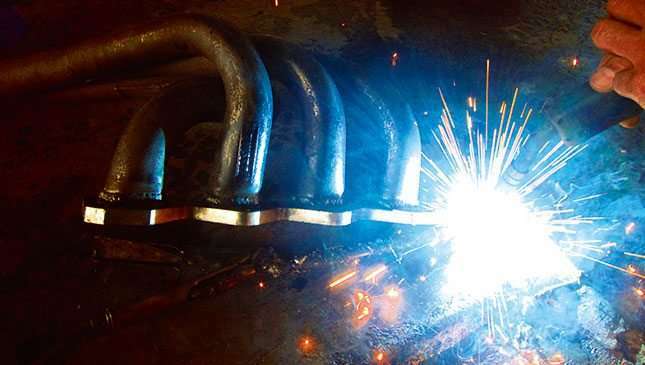 Unless you are an experienced welder, best to leave this job to the professionals. 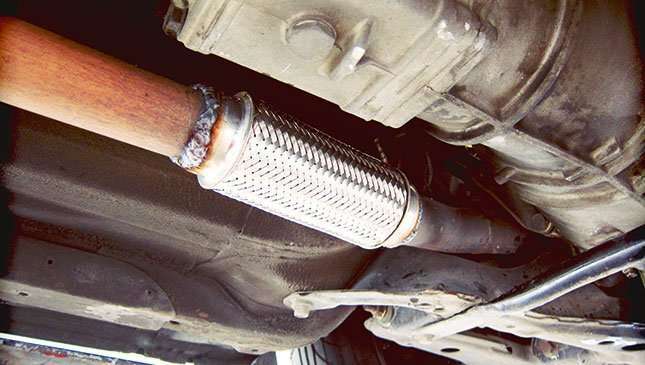 A leak in your car’s exhaust system can be dangerous. 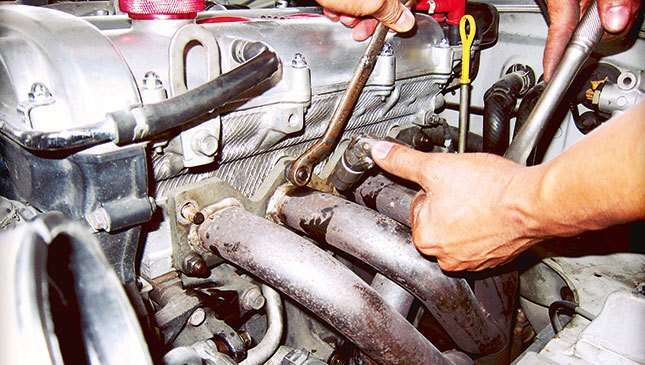 This is why you should get your car checked right away when something sounds amiss. You don’t want to be poisoned, do you? Put your car on a lifter. 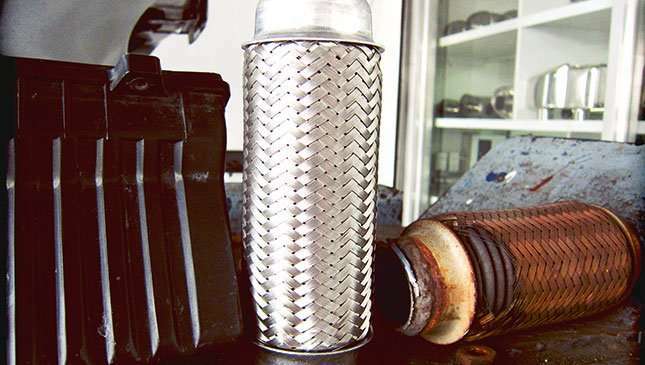 Examine all of the welds that join your exhaust system together. Pay attention to areas that have some rust. Not all exhaust systems are built the same way. Age, weathering, and damage from scraping obstacles or humps can take their toll on components. If your car rides low, it might have more damage. Open up the hood to check the exhaust headers. Telltale signs of a leak are areas with discoloration. If a visual inspection doesn’t reveal any carbon deposits, then it is time to bust out the rubber hose. Start the car. 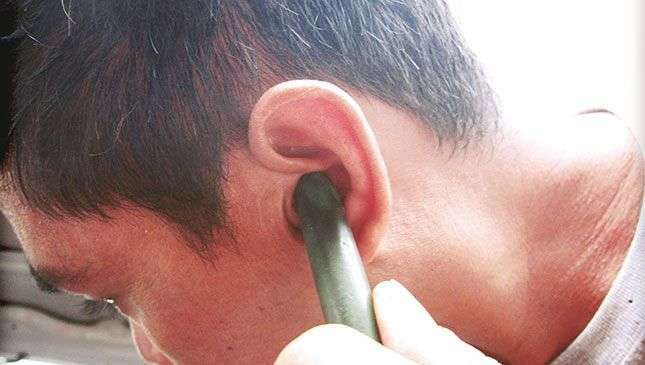 Now, hold one end of the hose against your ear. Use the other end to prod the welds in the exhaust system. A leak, no matter how small, will be enough to send a sound into the hose. The leaks we found were no bigger than pinholes. They are what are causing the minute noise. Repair the welds. While you are at it, replace whatever components are worn out or damaged. Part of the flexible pipe was already wearing through, so I decided to change it with a new one. With the holes patched up, the car runs smooth again. Let’s drive! *It might take a while to isolate the noise and the source of the leak. Be patient. *Know your car intimately? Then trust your instincts. The first mechanic I brought my car to thought the sound was coming from the area toward the rear of the exhaust system. *Exhaust fumes are deadly. Work in a properly ventilated area, please.